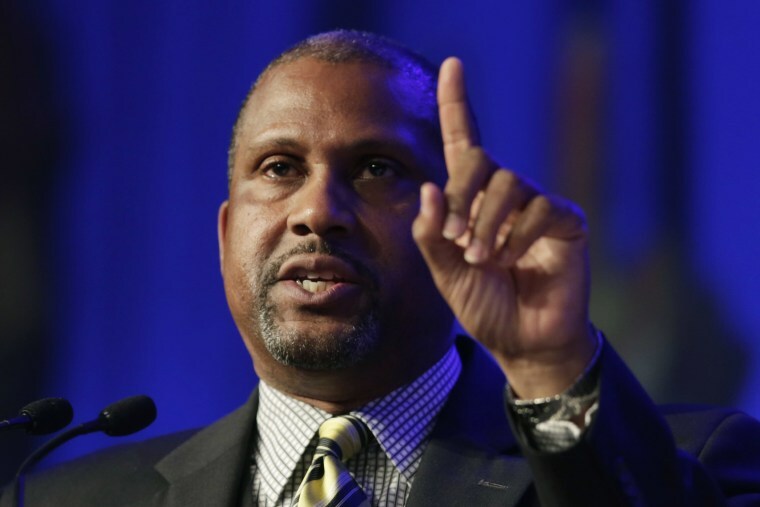 PBS announced Wednesday it is suspending distribution of late-night talk show "Tavis Smiley" following "troubling allegations" of misconduct against the longtime public television and radio host. A spokesperson for PBS said it launched an inquiry by an outside law firm immediately after learning of the claims. The inquiry uncovered "multiple, credible allegations of conduct that is inconsistent with the values and standards of PBS," the spokesperson said in a statement to NBC News. The outside investigation found that Smiley, a leading African American voice in public media, had engaged in sexual relationships with "multiple subordinates," according to Variety, which was first to report the news, citing sources close to the production. They said witnesses had told the investigators that Smiley was a verbally abusive and threatening boss and made some employees feel their success was tied to a sexual relationship with him, Variety reported. NBC News has not independently verified those accounts. Smiley vehemently denied the allegations in a video and statement posted to Facebook just after midnight Wednesday. "I have never groped, inappropriately exposed myself, or coerced any colleague in the workplace, ever, in my 30-year career," Smiley said in the video. "If having a consensual relationship with a colleague years ago is the stuff that leads to this kind of public humiliation and personal destruction, heaven help us," he said in the Facebook post. Smiley said he has "the utmost respect for all women" and intends "to fight back" against the allegations. Smiley said he was blindsided by the suspension and was made aware of the investigation into his behavior by former colleagues who said an investigator asked them about Smiley's conduct. "PBS overreacted and conducted a biased and sloppy investigation, which led to a rush to judgment, and trampling on a reputation that I have spent an entire lifetime trying to establish," he said in the statement. "Tavis Smiley" has been distributed by PBS to member stations since 2004 and is produced by Smiley's own communications company The Smiley Group/TS Media, Inc. The show is filmed in Los Angeles. It has also garnered several NAACP Image Awards, including "Outstanding Talk" (Series). His weekly radio show, "The Tavis Smiley Show," is distributed to public radio stations by Public Radio International. Smiley gained national attention in 1996 as a blunt voice on politics and racial issues on the nationally syndicated radio show "Tom Joyner Morning Show" and as a host and executive producer of "BET Tonight." His memoir, "What I Know for Sure: My Story of Growing Up in America," made it to number one on The New York Times' best sellers list. Smiley was named one of the "100 Influential People in The World" by TIME in 2009. In 2014, Smiley was honored with a star on the Hollywood Walk of Fame.